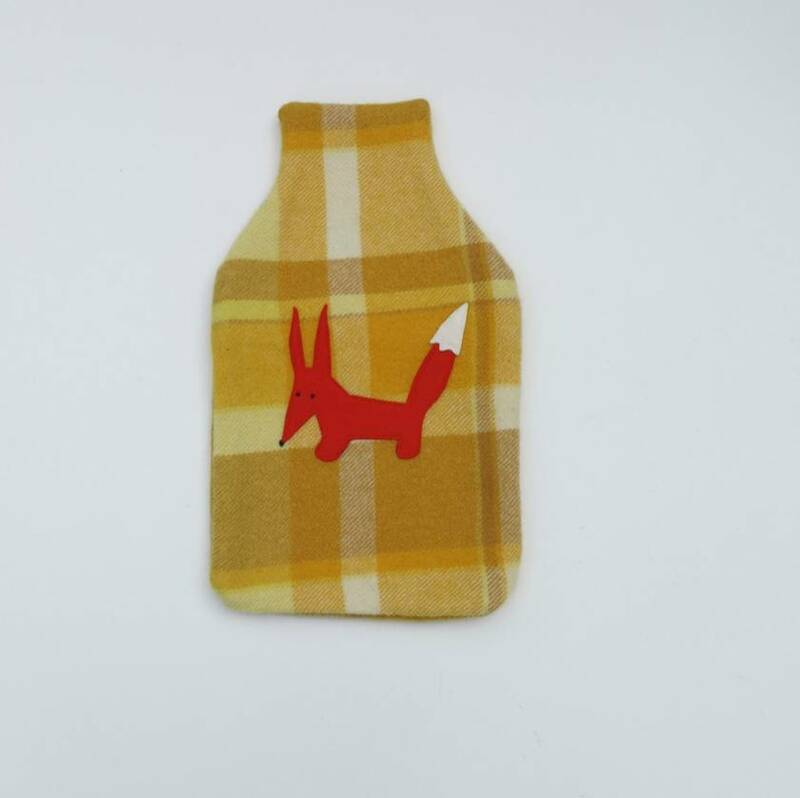 Hotwater Bottle Cover "Fabulous Mr Fox"
Stay warm with this beautifully hand made hottie cover, using 100% pure wool vintage blanket. Stays warm right through till morning. 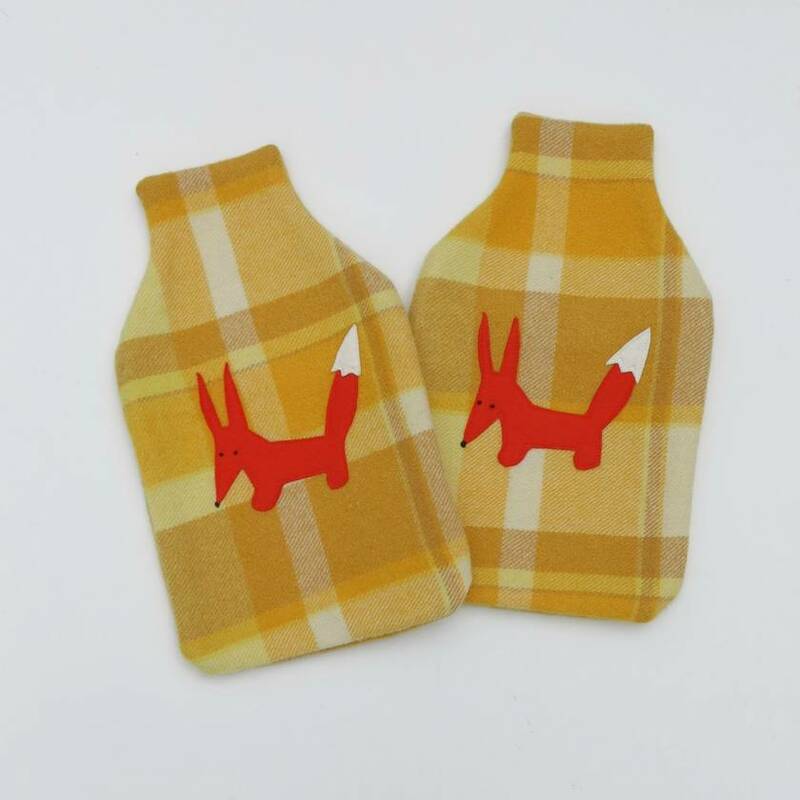 The perfect gift, or use yourself to warm your bed, your child's bed before they hop in... use to ease your aches and pains. Fits a standard hot water bottle. Features envelope closure at the back to make it easy for filling the bottle. 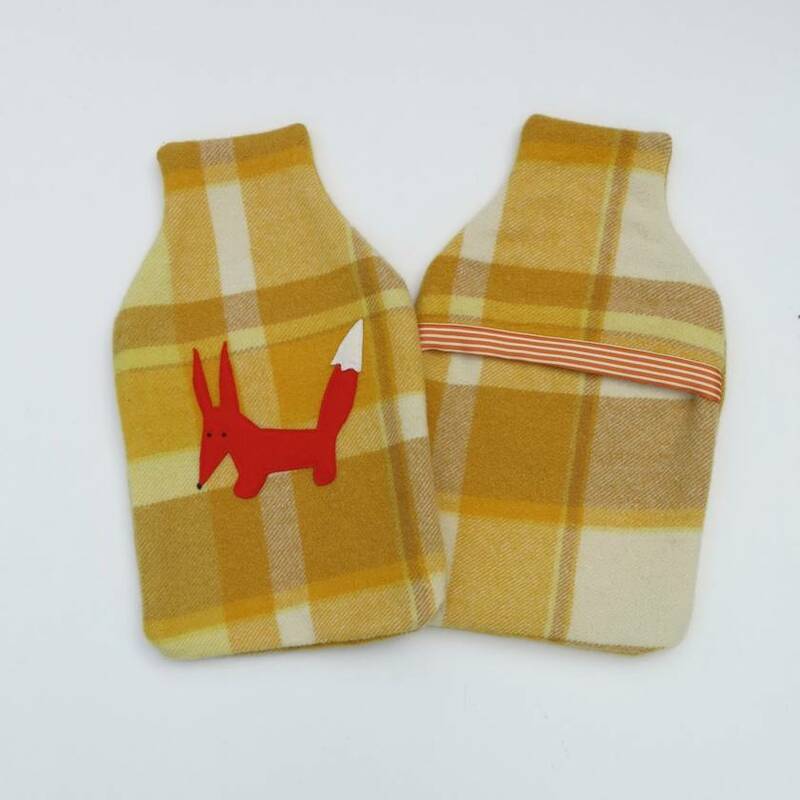 Does NOT come with hot water bottle, this is for cover only. 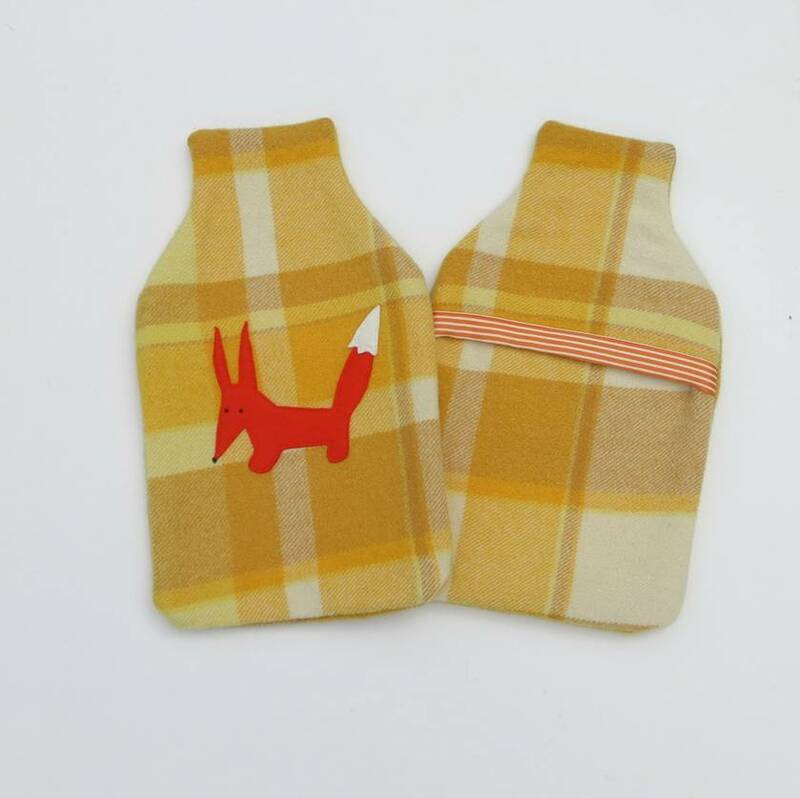 Has a appliqued Felt Fox on the front, made from wool felt.